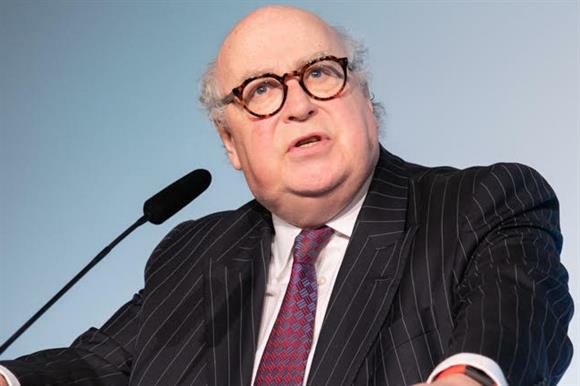 Charities should stop focusing on "attacks on the sector" and face up to the end of the era of continuous financial growth, Sir Stuart Etherington has told the National Council for Voluntary Organisations’ annual conference this morning. The umbrella body’s chief executive, who will retire later this year, said charities had to set the agenda, rather than react to criticism from other sectors. He said recent defences of pay, fundraising and campaigning by charities, as well as work to improve safeguarding, showed the sector could "respond in a mature way and control the agenda". He said: "All I would say as words of wisdom for future problems is that the answers are never black and white. "I would urge you to avoid ideological approaches in whatever challenges lie ahead, to treat critics in good faith and to always come up with the solutions yourself rather than leave it to someone else." He said the NCVO was offering a new assurance service, NCVO Trusted Charity, as a way of practically ensuring and showing others that charities operate to high standards. Etherington also warned charities that the era of continued growth of the sector’s finances was coming to an end, and charities would have to adapt to the new funding climate. "It feels to me that this stage of the sector’s life is coming to a close," he said. "That is by no means to deprecate the work by my contemporaries across the sector, which brought the sector to a new level of power and influence. "But the things that made us successful in the past will not be the things that make us successful in the future." Charities should therefore ask themselves "searching questions", Etherington said, and reflect on what the sector has got right and what it got wrong, and learn lessons from those experiences. He warned that the sector’s influence was not only about scale, but also about authenticity and from where you derived your credibility. "We have to make a conscious effort to move on from old ideas and embrace new ones," he said. "Ready ourselves for tomorrow’s fights, not pick over yesterday’s. "Change can be uncomfortable. But change and renewal are part of life. Without change and renewal you will be overtaken by the world. This isn’t good enough for our sector. You must always seek to be in the driving seat." Charities should move on from being "clients of government", Etherington added, and instead embrace a "real devolution of power and assets" with a "genuine belief in communities". But he said that for all the talk of devolving power from governments over recent years "we are nowhere near the radical decentralisation, the real transfer of control that we need". Delegating power isn’t the same as truly giving it away to others, he added, reiterating the NCVO’s support for a community wealth fund to be created from the more than £2bn believed to exist in dormant assets. He said this would help communities purchase necessary assets to make them sustainable and independent for generations to come, but it would require bravery from politicians and "a willingness to truly give power and ownership back to people". In response to questions about the male-dominated leadership teams in many charities, Etherington said it was important for the sector to take the issue seriously, but progress had been made in recent years. But he said there were concerns that the proportion of women in leadership roles had "slipped back" and was "decreasing again", and the sector needed to understand why and do more to promote diversity. He also warned that charities had too often in recent years engaged in contracts with the government "on the state’s terms" and had not walked away if the contracts were not right for the charity and its beneficiaries.